My work brings together cartography, walking, writing and sculptural processes to explore how spaces – and particularly, our navigation of spaces – are governed by codes, and recurring forms and symbols. 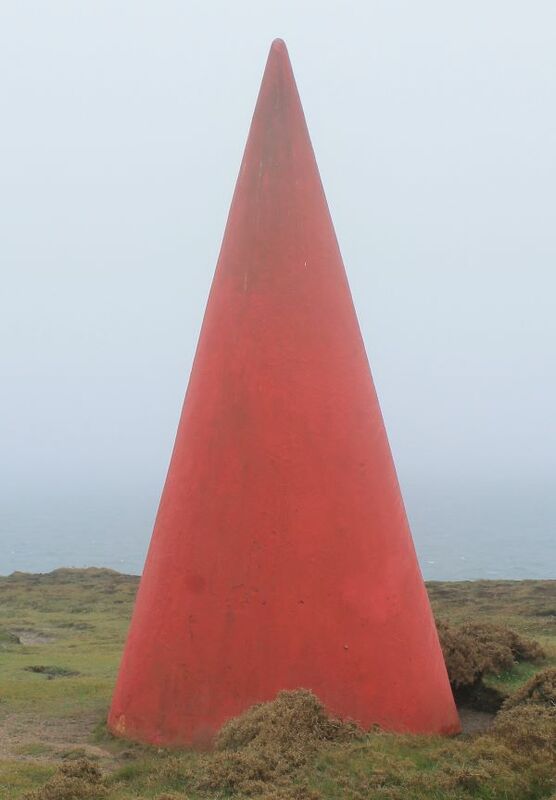 I pay particular attention to objects in the landscape – daymarks, posts, lighthouses, way-markers, signs, etc. as both aesthetic forms and sculptural and symbolic objects. I am interested in the unseen and unknown that have active effects on our lives; and how we can become aware of them through signs and marks, if we pay attention and can interpret their codes. By analogy this extends from physical 'unknowns' to emotional and social 'unknowns'. My work examines how the functional and informational can become aesthetic, and how navigation itself can be a creative act. Gas markers are very common objects in our everyday landscapes, which we usually ignore. They hold hidden messages in their markings and locations. This set of work comprises casts made in a variety of materials, taken from a mould made using a gas marker situated in a field in Hertfordshire. The words on the casts are inspired by my experiences walking the South West Coast Path, and use bird names; creatures of the air and freedom, to draw attention to possible hazards.